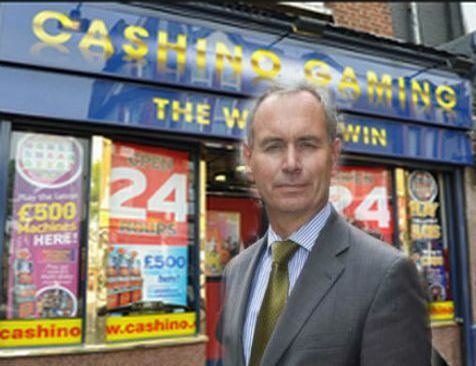 In light of new legislation allowing adult gaming centers (AGCs) to install up to four fixed odds betting terminals, many such locations are scrambling to make the shift over to partial betting shops and reap the profits of the growing U.K. gambling industry. 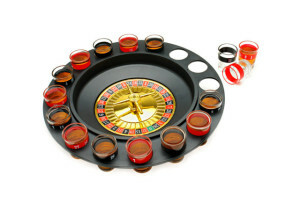 Big names in the AGC business were quick to adapt to the new opportunity, such as leading AGC company Praesepe’s CEO , who quickly applied to the British Amusement Catering Trade Association for licenses for four such FOBTs. As of 2012, there were approximately 33,000 FOBTs in the United Kingdom, a number that has continued to grow without pause. The nature of such installations has led to a mixed response from gamblers and gaming industry figures alike. Casinos risk losing profits to more convenient, less regulated FOBTs, but self-interest parties aren’t the only groups questioning the availability of FOBTs on the high streets. Groups such as the Campaign for Fairer Gambling and numerous antigambling groups hold a very low opinion of the installations, comparing them to street drugs in addictiveness and harm potential. Unlike traditional casinos, AGCs-turned-betting-shops aren’t faced with the strict regulations that have historically been used to curtail the potential harms of gambling, and no age control, a lack of careful monitoring by door staff, and unusually lax betting rules all have raised eyebrows from gambling associations and moral guardians alike. Whatever the problems inherent to the situation, it looks likely to stay for a while. FOBTs have become big business, and unless problems become more readily apparent, it seems unlikely that Parliament will be amending the law in the near future. Should You Show Cards in Friendly Poker Games? When you are playing friendly games, there is often pressure from other players to show them your cards. After all, friendly games usually do not involve a lot of money. If you are uncomfortable with showing your cards all the time, here are some tips to help you appease fellow players. These tips will allow you to appear friendly and loose, while maintaining secrecy. There are always times when you end up playing with a bad hand. If you are the small blind or big blind, you may take a chance with an average pair of cards. There is no reason why you cannot show your cards at the end of that round. Even if you win a little bit, go ahead and show the other players what you had. If you were bluffing, show them too. The idea behind showing these cards is to demonstrate that you are willing to put money on the line when you have a terrible hand. This will strengthen your bluffing position in later rounds. There may be a misdeal on the deck, or you may be the last person to fold after someone bets big in the beginning. In either of those cases, it is okay to show your cards. It is likely you folded because of a mediocre hand. This will not reveal your playing style, but it will appease friendly players you may think you are too guarded. When you play a hand just because you landed an ace, it is okay to show that card at the end. But only show the ace, not your second card. Showing just the ace will make the other players curious as to why you are hiding the second card. They will wonder if it was also a high card, or whether you bluffed with an ace and a lower number. 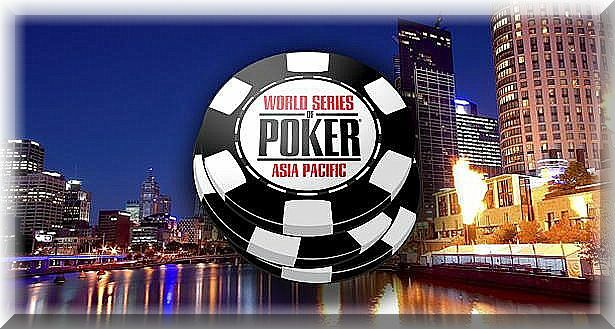 WSOP Asia Pacific tournament that was launched in 2013 is ready for its second year of competition; it will begin from October 2 and last till October 18. Like last time, the organisers hope that the event brings excitement to the participants this year too. The event will be held in Crown Melbourne, which is an added attraction for the players. Crown Melbourne is one of the best and most-visited entertainment complexes in the world. It has considerably upped the excitement factor of the WSOP Asia Pacific event. Also the fact that the event has been scheduled for spring in Australia is done to lure players from the US and European strongholds. There will be a number of games where players can compete with the best in the world. No limit Hold’em is among the main, everyday draws. 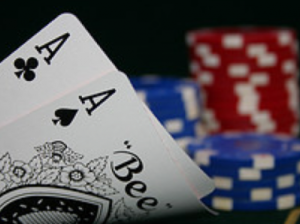 The next few days have the games like Hold’em and others with buy-in ranging from1600 to 2200 Australian dollars. 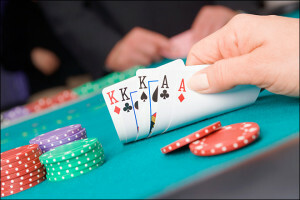 With an event like 8-game, participants can play different variations of poker. Every player can choose what version of poker they want to play. The main events scheduled at the end-leg of the tournament have a buy-in of Australian $10,000 and the High Roller comes with a buy-in of 25,000 Australian dollars. The tournament organisers indeed had the best intentions when they scheduled the Asia Pacific event in the springtime in Australia. The mild season was to act as a draw for the event. However in doing so, the organisers have clashed the event with another major poker event taking place in London. This is no small tournament. It is an EPT event. It means that players will have to choose between the two. The clash will dilute the participant’s strength in both the tournaments. With the boom in casino business around Asia being at an all-time high, it looks as though Japan will be joining the bandwagon soon. The Japanese parliament is beginning the process of legalizing casinos in their country. It will be a few months before a verdict is reached, but this process is a great sign for gambling enthusiasts in the country. A bill was written up and passed to the lower house of their parliament in December of last year. This bill will now be debated by parliament officials, although the process is not expected to be concluded before their annual holidays around the 22nd of June. The group debating this issue is being led by Hiroyuki Hosoda, a member of the country’s Liberal Democratic Party. Japan has been looking for ways to improve their tourism industry, especially with the country set to stage the 2020 Olympics. Staging those games will require a lot of upgrades to cities around the country. That comes at a price. While an Olympic buzz can help tourism for a year or two, legalizing casinos will provide a permanent increase. People from all over the world come to VIP casinos, with a majority of tourists coming from China. At the moment, most of these tourists are going to south-east Asia or Australia. Japan is attempting to get a foothold in that market. Many on the Japanese parliament believe the country already has the infrastructure in place to ensure that the transition to legal casinos is smooth. There are enough resources to set up anti-crime and money laundering units to monitor the legal casinos, in addition to cleaning up any of the areas where a casino is to be built. An Asian casino running on losses, the Queenco Casino and Hotel is hoping to get back on track and enhance its international repute with the help of poker. The Cambodian casino’s first step in its attempt was hosting the Asia Poker Tour or the APT, which is a prominent poker competition that takes place every year. The APT has been entertaining poker enthusiasts in Cambodia since 2012. This year, the event was held in Queenco, mostly to promote the city of Sihanoukville (where the casino and hotel is situated) as a gambling hub. Queenco Casino and Hotel had losses amounting to 1.5 million Euros or $2 million as of the end of 2013. 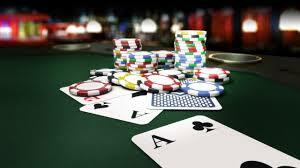 The casino, which is owned by the Israeli Queenco Leisure International Ltd., has entered into an agreement with the organizers of APT to host the yearly tournament and at least two other major poker tournaments, said Meni Akunis, the chief operations manager of the casino. There are major doubts about the capability of the Queenco casino to sustain those losses and come back to compete with other players in the market, according to a report submitted by its parent company in 2013. Cambodia is the biggest gambling jurisdiction in Asia, with around 56 casinos that have more than 7500 slot machines and 2500 table games. Cambodian law does not allow its citizens to gamble in their country. 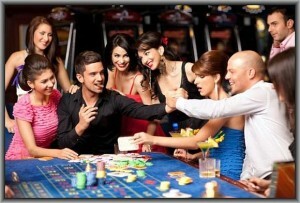 However, outsiders are more than welcome to enjoy a game of poker or other games at their casinos. Mr. Akunis said that the management hopes that the tables will turn once the Sihanoukville International Airport starts receiving international flights. Only recently, the airport welcomed its first international flight from South Korea. Poker is one of the most popular card games in the world, and while it’s always been and will continue to be an exciting game, sometimes it’s good to try one of the numerous poker variations that are available. Not only are these intriguing games in their own right, but it’ll keep your card playing skills sharp instead of having them stagnate by playing the same type of game over and over again. Let’s take a look at two of these popular variants and see exactly how to play them. There is some controversy over the origin of Badugi, but what we know for certain is that’s it’s been played since at least the 1980s. Suits play a critical role in this game, and it’s very similar to lowball. The goal is to be the player with the best four card low hand. However, it’s important to remember that in this game, there are three draws and similar suits and pairs will count against you. Four cards are dealt to each player at the beginning of the game. The greatest hand possible is 4-3-2-A, with each card having its own suit. Try to avoid pairs and the same suits. Having a ‘badugi’ refers to four different cards of different suits, and having that will win you the game. If two players have ‘badugi,’ then whoever’s hand is lowest wins. If no one has it, then it’s whoever has the lowest three non-pair and different suited cards wins, or the lowest two. There are three bets and three draws after each round, the lowest wins. Additional information on how to play Badugi can be found here. This is a classic variant, and it’s like having a game of chicken and features lots of opportunities for bluffs and big showdowns. There are several ways to play the game, but the most popular is to have players ante up and then be dealt three cards a piece. At this point, players can determine for themselves if they want to play the hand, which depends on its strength or their ability to bluff. 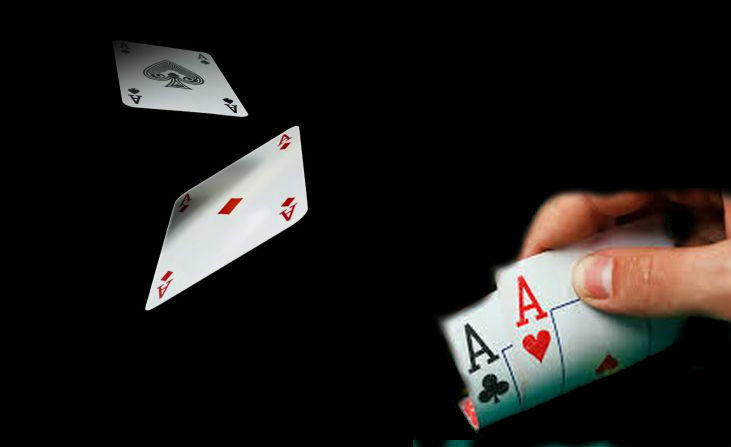 Afterwards, players hold their cards near the center and the countdown begins – 1, 2, 3, ‘guts.’ On guts, players will either fold or hold up their cards to advance. The highest three cards win the whole pot. The game lasts until there is only one player left holding up their hand. Here is some more info about how to play Guts. Tom Hall, a successful professional poker player, provides intimate details of Macau’s Poker King Club in an interview with Poker News. Here is a summary of the most interesting things that he had to say. How many players participate in the games? Since the event began, there must have been 100-200 different players who have taken part. However, there is always a core of 20-30 players that are playing at least once a month. 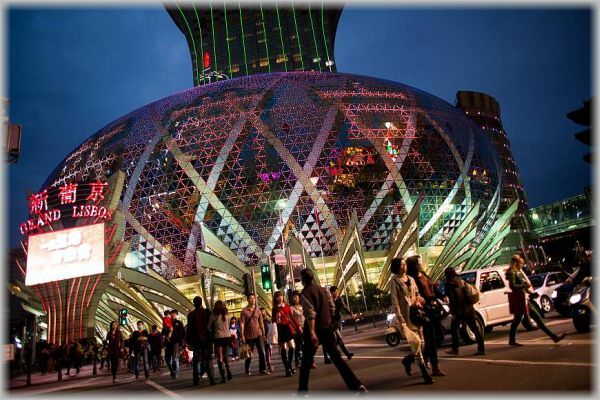 In fact, there are five or six players who get to a game every time they are in Macau, which is very often. Line ups are always changing, but unless a newcomer is added to the list, most of the players know each other quite well by now. Are there ever limit games? 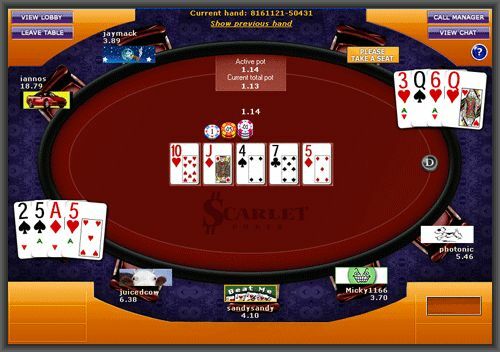 Some of the smaller games have limits, but the big game is always a no-limit hold’em style. How hard is it for players to get an invite? I would imagine that it is very difficult, because there are only a certain amount of players that can get access to each game. Even among the regulars who have played a few times, there is a large waiting list. If a newcomer is going to get in, it is because they have impressed people at other tournaments or they are very well connected. Do language barriers create issues? No. When we are playing a game, everyone knows enough about poker to be able to let the game flow without having to talk to each other. There can be awkward moments where several groups of people are talking amongst themselves in different languages, but I suppose that happens everywhere. What are the wins/losses in numbers? The most someone has lost (or won) at a table in a single session would be around $13 million. Just remember that these are very long sessions, sometimes lasting 30 or 40 hours. We will have a break where everyone grabs a quick nap, watches the live soccer games, or goes for a meal. For more information about Tom Hall and the Macau poker scene, click here. Despite having a very low buy in compared to other major tournaments, the Sunday Prime at iPoker Network is very popular among major players. This week’s event saw 1,298 players taking part, with a prize pool of close to 50,000 euros. This day belonged to the British contingent, and a majority of that prize money is now in their bank accounts. Ally Squire, better known by his screen name of ownerfunkyt0wn, got the biggest win of his online career. He won 8,000 euros and is going to be a lot higher in next week’s online poker rankings. This was a big event for Squire, who has shown promise but never delivered a consistent level of performance when it mattered. Another British man who had a great day was Paul Senter, or Senta999, who got through in second place and won 6,000 euros. His day was just as impressive, and he presented a very difficult challenge for squire to overcome. Keith Cummins, or Whassup999, had a great Sunday. He finished in a respectable ninth position at the Sunday Prime, winning 500 euros. However, his real success came at the Sunday Masters event (150 euro buy in) where he won close to 4,000 euros. Another Brit who enjoyed his afternoon’s poker work was Nelius Foley (TheLAstCook) who took home a little more than 3,000 euros at the Sunday Warm-Up event (50 euro buy in). Unfortunately, this week was not a great time for British players at the PokerStars event. We are usually used to seeing big wins from Brits, but most of them fell short of their expectations at the Sunday 500 and Sunday Million events. “Chaz D 87” managed to win $24,000 with fifth place at the Sunday 500, while “easylimp” came in sixth place and won $18,000. “OJLimpsinn” got to within the final table for the $260,000 first prize at the Sunday Million event, but he had to settle for $12,000 and ninth place. He will be hoping to do better at future events. For more details about the exploits of British players this week, click here.